How Extra Virgin Olive Oil is processed is very important to your health. Forest Edge Farm are growers of the Tuscan Frantoio variety of Olives favored for their high quality olive oil and antioxidant content. High antioxidant content being the key. The olive tree’s lower branches are picked by hand and using minimal equipment to avoid tree damage we are able to reach the higher branches out of reach. A crucial part of the production for a for high antioxidant content and low acidity flavored oil is to harvests the fruit when the olives start getting dark, they are cold pressed within hours of being picked to guarantee retention of the high levels of naturally occurring antioxidants for optimal health benefits and gorgeous flavours. All of Nature’s goodness is then sealed in high quality dark glass bottles, high grade quality casks are used for larger quantities protecting it from light. It is best to store your EVOO in a cool dark environment to insure freshness. Not in the refrigerator. 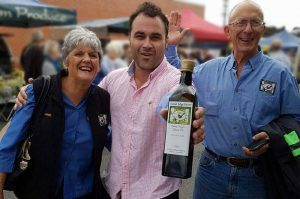 Once the seal is broken and your EVOO product opened, it is important to use it with a couple of months to ensure you are using fresh Oil for the health benefits all the antioxidants can provide. Olive oil is full of chlorophyll, polyphenol and tocopherol, which help the antioxidant process and represent a precious source of vitamins. The antioxidant activity of the polyphenol and tocopherol has positive effects on cardiovascular health. 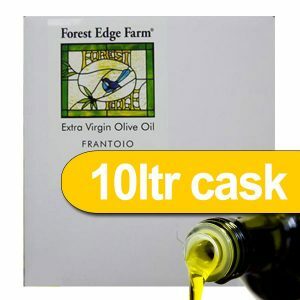 Forest Edge Frantoio Extra Virgin Olive Oil excellent for all kinds of dishes, Frantoio Olive Oils appearance is dense with a clear golden glow. “Liquid Gold” ! The flavenoid polyphenols in olive oil are natural antioxidants that contribute to resistance in our bodies to oxidation. They have a host of beneficial effects from healing sunburn and skin damage to lowering cholesterol, blood pressure, and risk of heart disease. There are very few products that have as much positive impact on your health as Extra Virgin Olive Oil does. We make EVOO for the health benefits and love of it! Our family dedicates countless hours to supply the very best premium EVOO possible, with loving care from our family to yours. We wish wellness to all and enjoyment to the very last drop. 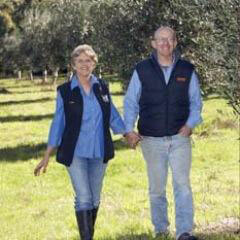 How can Forest Edge Frantoio Extra Virgin Olive Oil help in our diets? 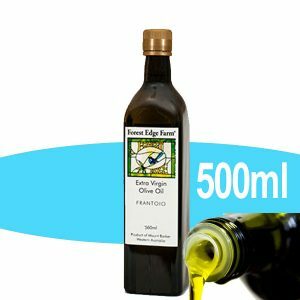 Extra Virgin Olive Oil has always been a main ingredient in the Mediterranean diet, providing a strong source of the healthy and nessisary to human health “Good” type of mono-unsaturated and poly-unsaturated fats. These healthy and naturally occurring fats contribute to an overall healthy diet, having positive effects on cholesterol levels by helping to maintain a better balance between (HDL GOOD cholesterol) and (LDL BAD cholesterol). Scientific research studies have confirmed that diets high in saturated fats are known to raise LDL BAD cholesterol, while diets high in naturally occurring mono-unsaturated and poly-unsaturated fats decrease LDL BAD cholesterol levels. A meta-analysis of 27 human trials designed to examine the effect of poly-unsaturated and mono-unsaturated fatty acid rich diets on blood lipid levels found that both types of dietary fats potentially lower total and LDL cholesterol levels. Further studies from the American Heart Association revealed that other than its high mono-unsaturated content, unprocessed (such as extra-virgin) olive oil contains non-fat components such as certain phenolic compounds that have a wide range of health benefits including positive effects on cholesterol both the (good) and (bad) as well as levels and LDL oxidation.